It's a reasonable generalization to say that most bathrooms feature a set of functioning tiles. And why not? For their purposes, tiles are almost without equal and they are both inexpensive to purchase and install. With tiles in your bathroom, most of your cleaning efforts will come down to simply mopping their surface and enjoying absolute cleanliness as a result. Furthermore, you'll enjoy the unique look that tiles are known for without having to worry too much about maintaining it. Yet no material is perfect, and we couldn't make a living providing Corpus Christi tile and grout cleaning services if they stayed in good condition year-round. One thing that tiles can suffer from are stains: while durable against garden-variety dirt, tiles can latch onto colorful stains and refuse to part ways with them no matter what you do. There are also indentations to keep in mind: tiles don't respond so well to blunt or sharp force and can break or become dented fairly easily, making any complete restoration a difficult proposal. Of course, we shouldn't spend too much time talking about tiles without mentioning grout, the material that binds them. You probably haven't paid much attention to grout so far and have therefore failed to realize it's gotten progressively darker – this is especially true with floor grout that is almost guaranteed to go from white to brown in a few years at most. Grout is much more susceptible to getting dirty and is that much harder to clean than tiles. Combining the two makes it clear that they require a powerful one-two cleaning solution that might very well be beyond your capabilities. In fact, most people don't have a very good way of dealing with these surfaces: when regular mopping fails them, a complete tile set replacement is usually the only choice left. 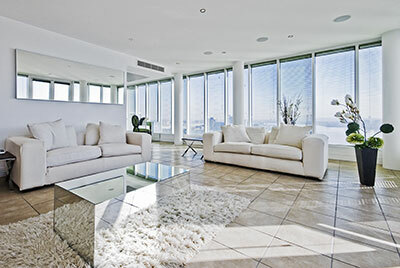 Allow Corpus Christi Carpet Cleaning Pros to offer you an alternative that's more economic in every sense of the word. True to our name and purpose, we help keep our customers' homes clean regardless of what it takes. Without professional help, your choices for dealing with tiles and grout would boil down to either replacement or tolerating stains and cracks indefinitely. With us, you will have a third option: Corpus Christi tile and grout cleaning tailored to your means and with great results. The tile and grout issue you call us over can be anything: from a mere tile crack to persistent discoloration to bacteria-infested grout. You might not have reserve tiles available, or maybe you lack the knowledge to perform complex tile repairs. Whichever the case and no matter the size of your bathroom and kitchen, we will have you covered: watch as we transform a single tile that sticks out like a sore thumb or an entire stained set into something acceptable in terms of cleanliness as well as aesthetics. Don't condemn yourself to dealing with tiles and grout on your own – not when Corpus Christi Carpet Cleaning Pros' services are right around the corner.